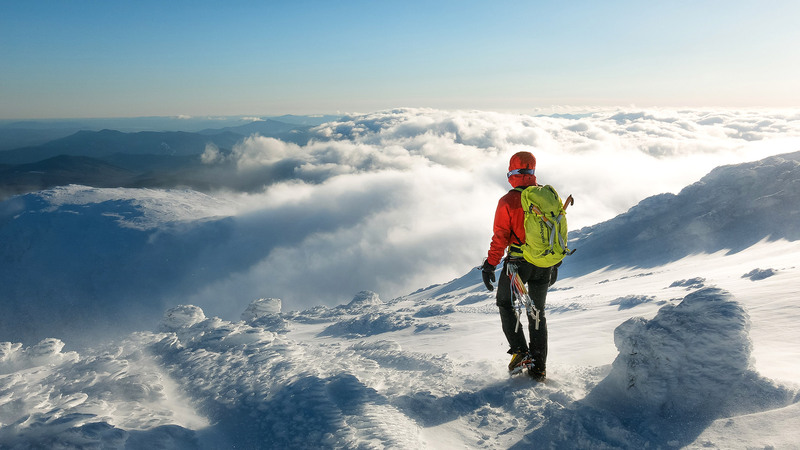 Take on a genuine mountaineering challenge by going for a winter ascent on the Northeast’s tallest peak. 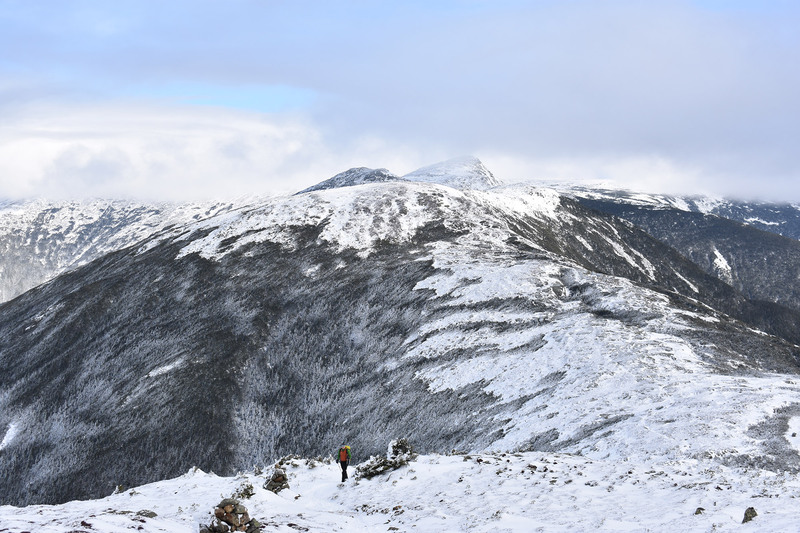 Mount Washington is the pinnacle of winter mountaineering in the Northeast, and the Lion Head Winter Route is the trail of choice for many looking to summit this iconic mountain. Although this is the least technical way to summit the “Rock Pile,” mountaineers will be challenged by everything from the route’s steep, icy terrain to the mountain’s notorious “worst weather in the world.” Depending on the day, you could find yourself huddling behind one of the summit’s buildings, trying to escape the wind, or proudly posing in front of the summit sign while taking in grand views of the Presidential Range. Parking for the Lion Head Trail is at the Appalachian Mountain Club’s Pinkham Notch Visitor Center in Gorham, just north of Jackson on Route 16. It’s about a 25-minute drive from North Conway or Gorham. 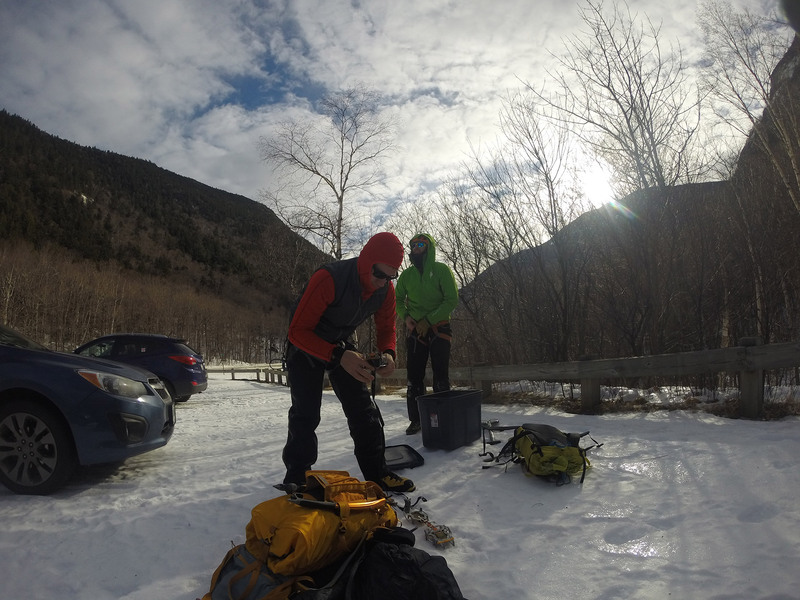 The Pinkham Notch Visitor Center (44.257320, -71.253052) is a great place to get ready. 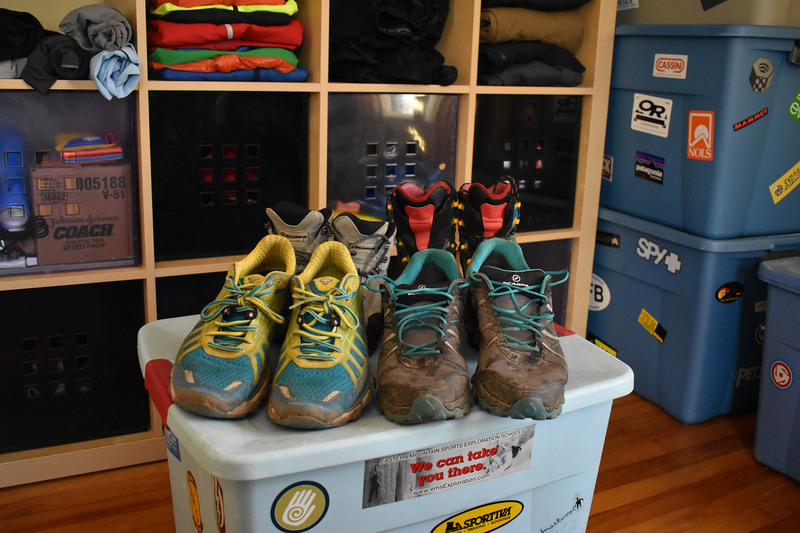 The gear room, in the basement, has tables and benches that are perfect for getting organized, tying your boots, and doing those last-minute gear checks. It also has bathrooms and a water fountain, and snacks and meals can be purchased upstairs. 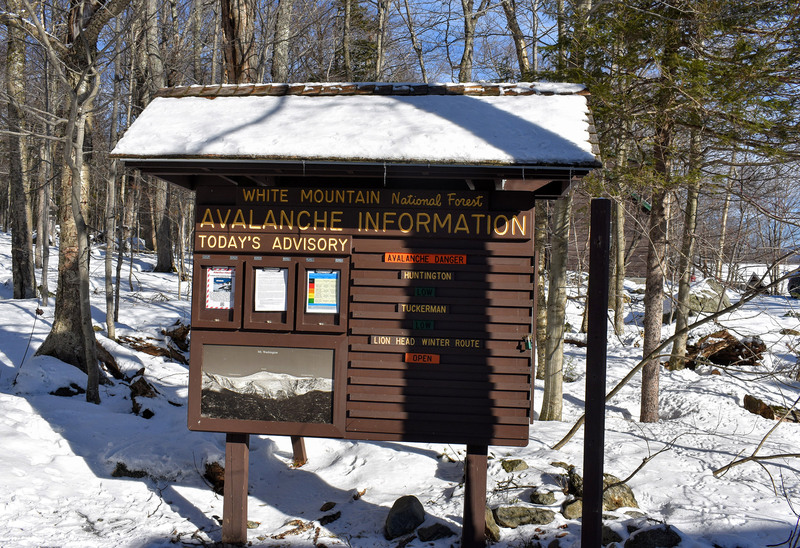 Equally important, the AMC posts the Mount Washington Observatory’s daily Higher Summits Forecast and the Mount Washington Avalanche Center’s daily avalanche forecast on a cork board in the visitor center’s basement. Make sure to read both! And, while you’re there, sign the winter hiker register, too. 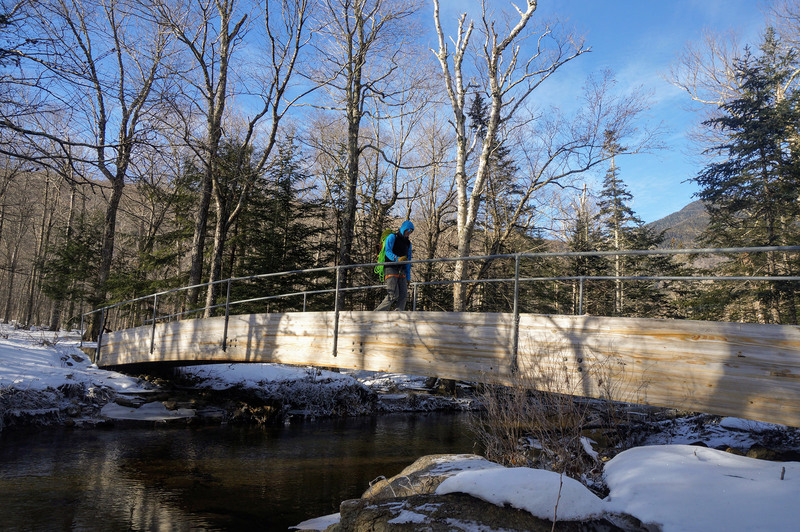 To get on the trail, leave the basement, and follow the sidewalk towards the Pinkham Notch Visitor Center’s main entrance. 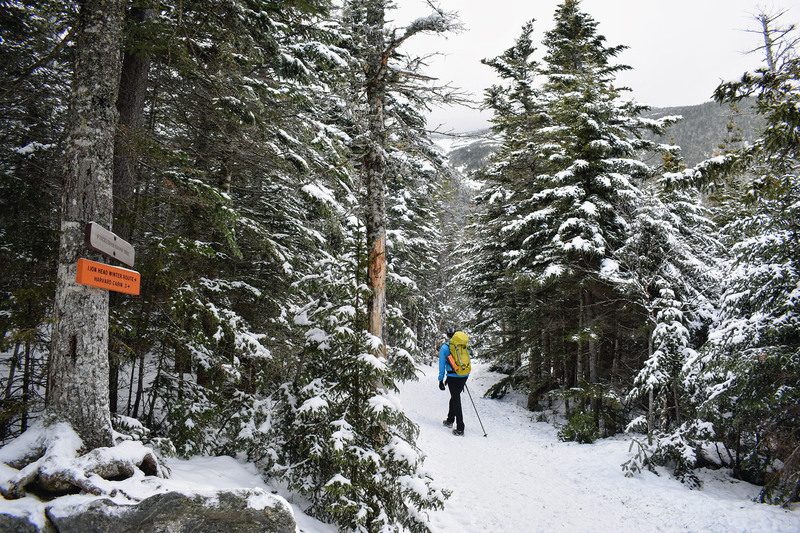 Continue past the entrance and around the back of the building to the large sign marking the beginning of the Tuckerman Ravine Trail, which you’ll take for the first 1.7 miles and more than 1,000 feet of elevation. 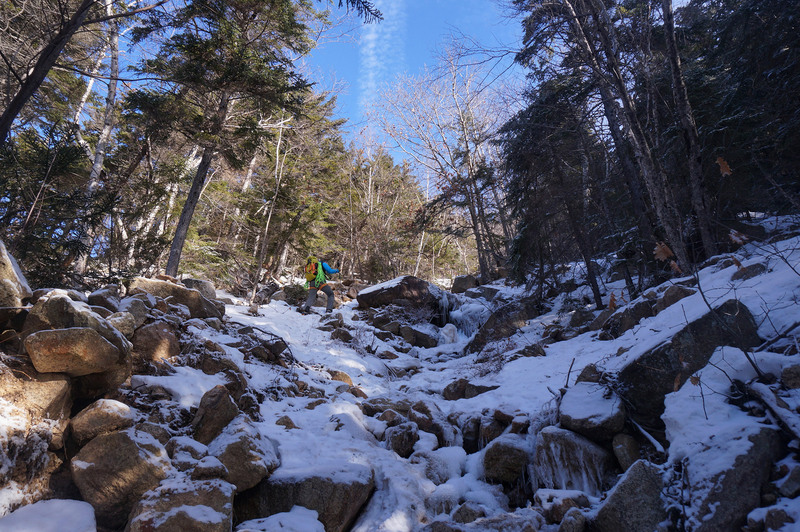 The easy-to-follow Tuckerman Ravine Trail begins as a very rocky dirt road and is wide enough to allow side-by-side hiking. Depending on the weather, trail conditions range from ice-covered rocks to packed snow. In most cases, starting out in MICROspikes is usually a good idea. From the Visitor Center, the trail is moderate for the first few minutes, and then begins to climb consistently. As it climbs, an occasional path cuts off to the left, heading over to the Sherburne Ski Trail. A bit higher up, there is also a signed cutoff to the right for the Huntington Ravine Trail (44.261887, -71.269882). Hikers should ignore all of these cutoffs. Trees protect this portion of the trail, keeping the wind and wind chill at bay. And, although the trees also limit the views—especially compared to the awesome ones you’ll get once you’re above treeline—the Tuckerman Ravine Trail does pass a few key scenic spots as it climbs out of the valley. 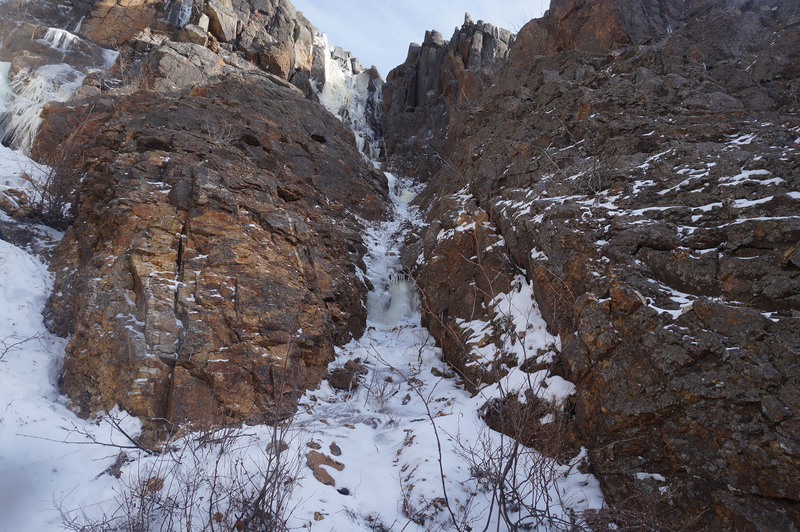 The most notable are the two bridges that cross the Ellis River and the Cutler River and the waterfall—or icicle, in this case—Crystal Cascade. It might be tempting to dig the camera out, but don’t stop. You have a long way to go, and the days are short this time of year. If the weather permits, you’ll also get a preview of the Lion Head as you move up the Tuckerman Ravine Trail, giving you an appreciation for the route’s expansive scale and how much distance you have left to travel. After about 1.7 miles, the junction with the Huntington Ravine fire road (44.263844, -71.277946) is on the right. The junction is well-marked, with a sign pointing toward the base of the Lion Head Winter Route. The wide, flat fire road makes for easy hiking. Take it a short distance to a junction (44.264603, -71.279106). Look for a rescue cache on the trail’s opposite side for confirmation. The flat area at the Winter Route’s base is a great spot to grab some food and water and add a layer. Most people, too, put their crampons on here and get their ice axe out. 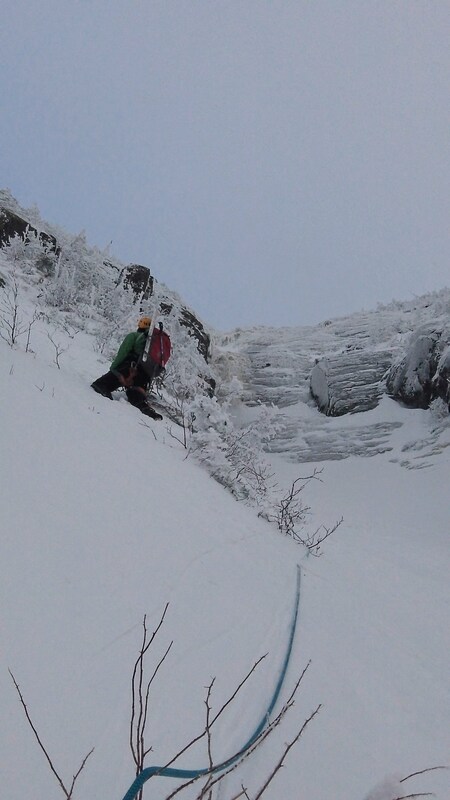 The steeps on the Lion Head Winter Route come pretty quickly. Climbing along a tree-lined trail, the route gains almost 1,800 feet in elevation. While most of the climbing is on steep but easy snow, there is a short, 30-foot, rocky section near the beginning that has some exposure. 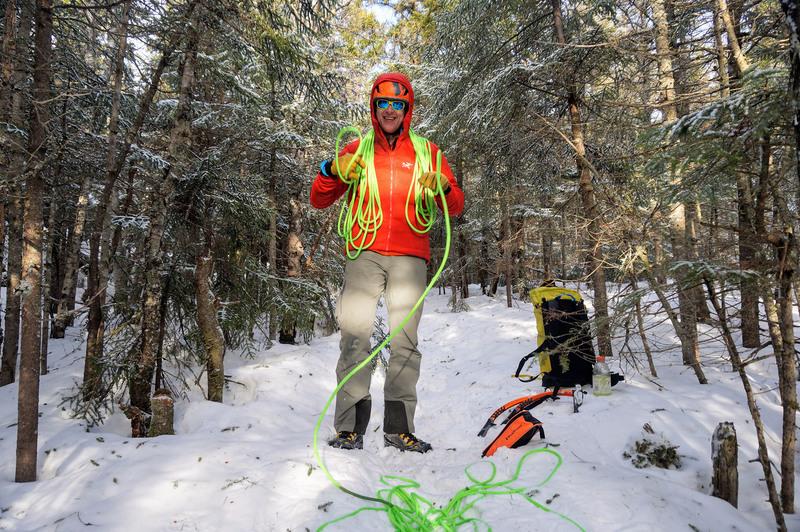 Almost all the guided parties carry a short section of rope to use as a hand line, but it is probably unnecessary if you are comfortable climbing in crampons. Pro Tip: The Lion Head Winter Route is the Whites’ most popular guided winter route, and there is sometimes a bottleneck at the rock step. So that you can maintain your pace, try to stay ahead of guided groups, if you see them gearing up at the base. Above the rock step, the route continues up, staying in the trees until it eventually breaks treeline. 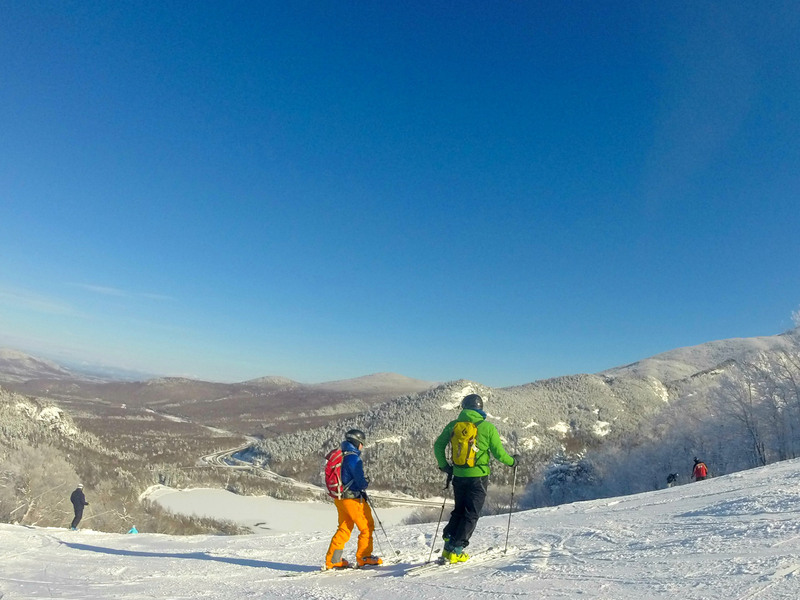 Around treeline, you’ll find numerous spots along the side of the trail to take a break (44.264332, -71.286575) and enjoy the excellent view of the Wildcat Mountain Ski Area across the notch. Since you’ll be fully exposed to the wind from here on, now is a great time to don your above-treeline gear. On windy days, remember full-face protection, including goggles. From treeline, the trail continues up over open, rocky terrain towards Lion Head proper (44.264.042, -71.291275). As you climb, you’ll probably feel the wind speed increasing. And, be on the lookout for another steep and exposed section just before the Lion Head. It’s easy, but you don’t want to fall. As you approach the Lion Head, you should evaluate the weather, the wind, and your group’s motivation. If the wind’s too strong, the weather’s getting worse, or it has taken longer to get here than anticipated, this is a good place to turn around without significant consequence. Above the Lion Head, the trail continues along the edge of Tuckerman Ravine, crossing the Alpine Garden. If it is a nice day, enjoy the view of the ravine in all its splendor. But, don’t get sucked too far left, especially if it’s windy. You don’t want to get blown in! This section is also likely to be one of the hike’s windiest segments. Since the trail here is mostly flat, it’s a great idea to hustle across as quickly as possible. The prevailing wind is west to northwest; so, once you are in the shadow of the summit cone, you’ll likely get a brief reprieve. After a short time, the trail intersects with the Alpine Garden Trail (44.265045, -71.295603). Some scrub here makes a passable wind break, but you’ll probably want to keep going. From the junction, continue straight on the Lion Head Trail. The trail begins climbing again after the junction, crossing a couple of open snowfields on the way towards Split Rock (44.265850, -71.301437). Since there are few landmarks here, route finding is critical. Moreover, the consequences of a sliding fall on this section are significant, so make sure to have your crampons on and ice axe ready. Split Rock is easily identifiable: As the name implies, it’s a large boulder that is split in half. Split Rock is also the last place that offers passable protection from the weather before you reach the summit. Many parties choose to take advantage of the flattish area and windbreak to grab a snack, make a final determination of the weather, and prepare for their summit push before following the trail through the boulder itself. Once you’re ready, the next junction (44.265980, -71.302155) is just a few minutes ahead. The Lion Head Trail traverses west for a short ways before connecting with the Tuckerman Ravine Trail at a large cairn. From here, turn right and follow the cairns uphill on the final 0.4 miles to the top. Frequently, this section provides a respite from the wind. Enjoy the break, as the wind will only increase as you near the top. The Tuckerman Ravine Trail leads to the first sign of civilization—the Auto Road (44.269550, -71.302048). Shortly thereafter, you’ll pass the tracks for the Cog Railway, before you come to the final small hill leading to the summit (44.270424, -71.303375). If it is a nice day, spend some time to enjoy the summit view of the Presidentials and the surrounding White Mountains. More likely though, ripping winds and cold temperatures will have you taking shelter by the buildings and putting on an extra layer before you make your way to the summit sign to get the requisite shot. 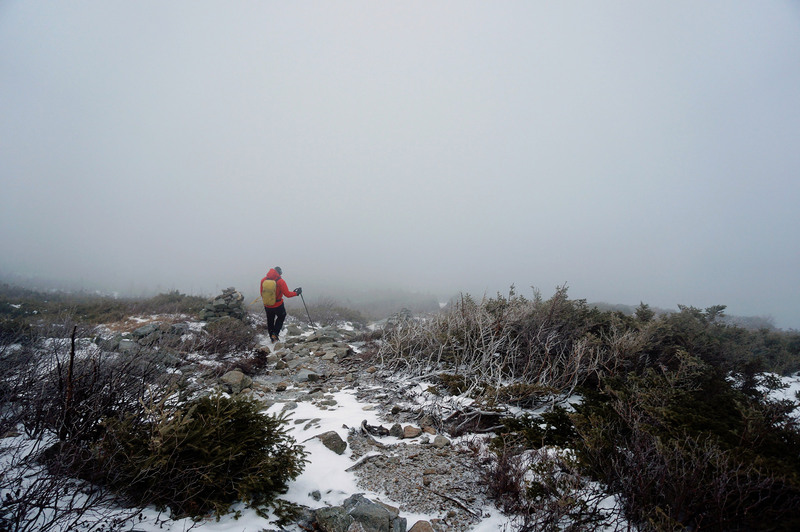 To quote the world-famous mountaineer Ed Viesturs, “The summit is just a halfway point.” Although getting back to Pinkham Notch is as simple as reversing course, you have ample opportunities to get lost or disoriented above treeline, especially when the weather is at its worst. So, take the time at trail junctures to ensure you’re descending in the right direction, and look for memorable landmarks. Most notable are the large cairns marking the Tuckerman-Lion Head junction, Split Rock, the scrub at the Alpine Garden Trail junction, and the flat area on top of the Lion Head. As you make your way towards treeline, look for several sets of reflectors attached to the trees for descending at night or in deteriorating conditions. The final crux for hikers will be reversing the rock step and the terrain just above it. Once again, many guided parties use a rope here, but those comfortable climbing in crampons should be fine simply downclimbing. 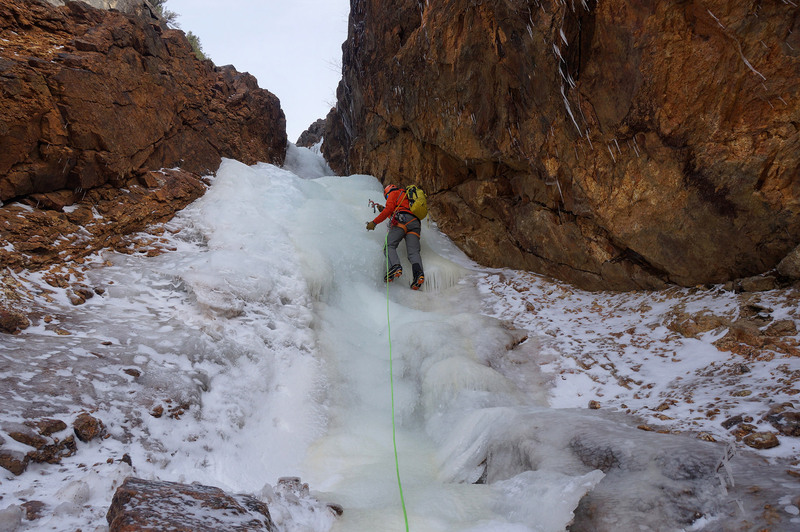 The Lion Head Winter Route is steep and often icy. 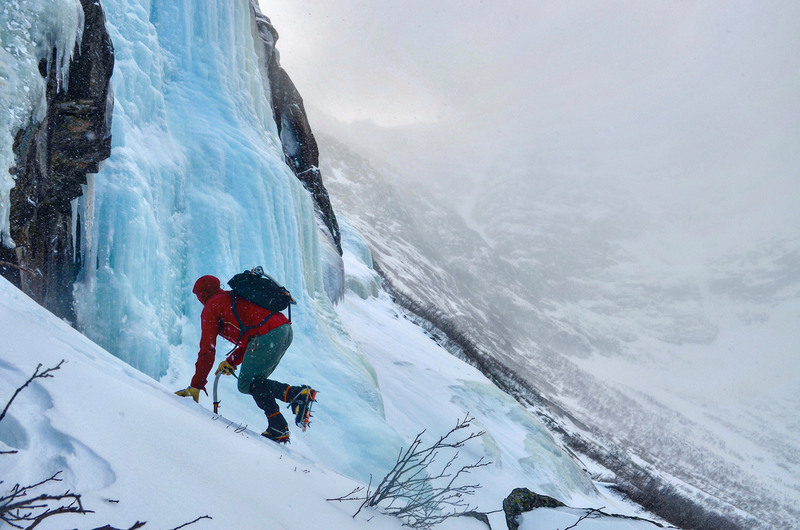 Because of this, an ice axe and crampons are essential equipment. 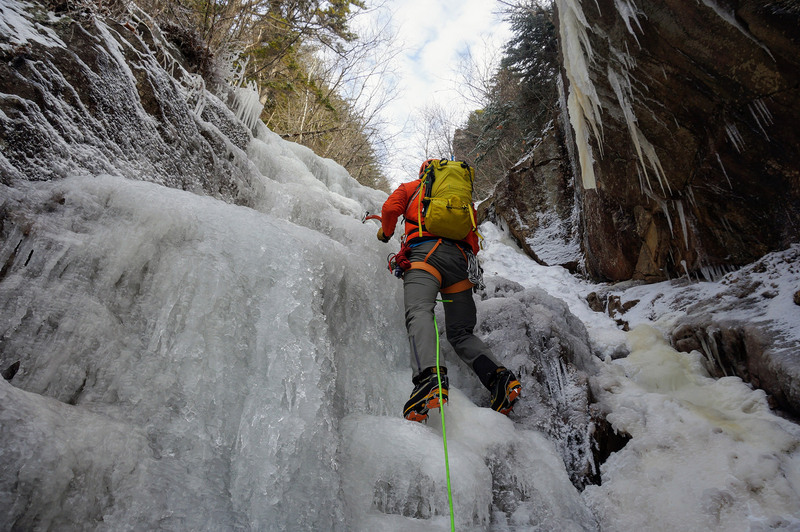 The Black Diamond Raven Ice Axe and Contact Crampons are great choices. The combination of high winds, snow, and ice often necessitates the use of goggles, like the Smith I/O 7, to protect your eyes and maintain vision. 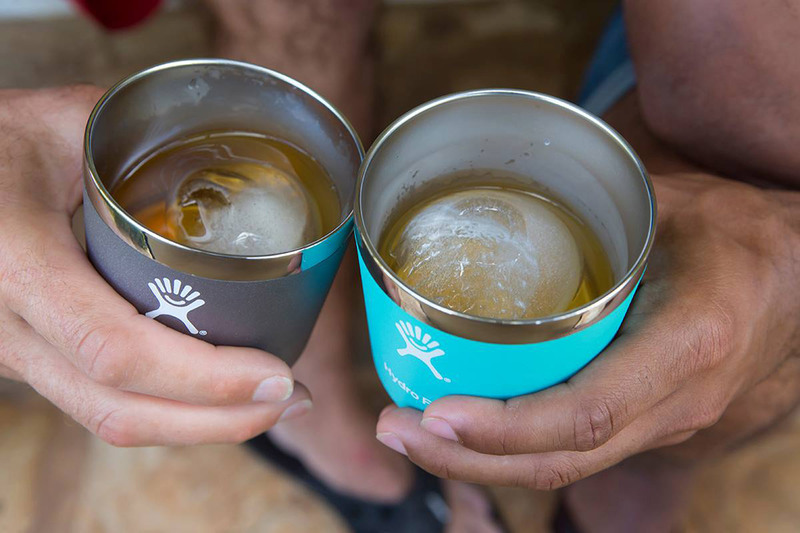 We suggest bringing a second pair in the event one freezes. 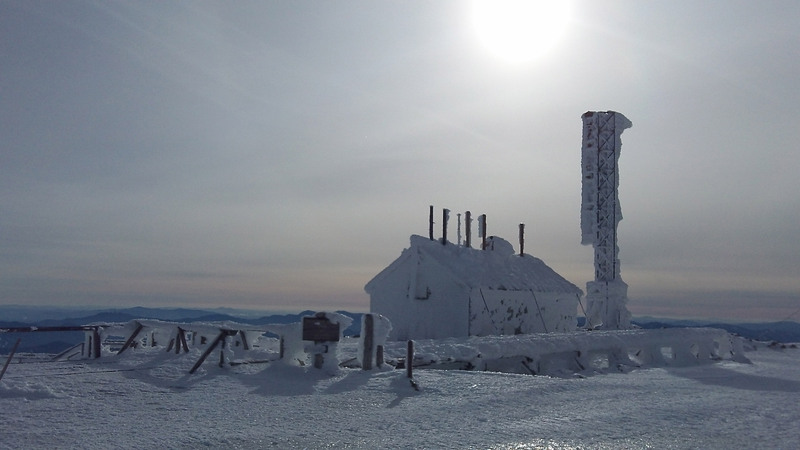 Summiting Mount Washington in the winter is a long day even in the best conditions—not to mention, the days are shorter this time of year. A headlamp like the Black Diamond Revolt helps prevent getting caught in the dark and provides peace of mind if you fall behind schedule. It’s easy to get disoriented or lost above treeline on Mount Washington, especially if it’s snowing and the wind is howling. A route plan, pre-set waypoints on a phone-based mapping app like GAIA GPS, and a map and compass as backup are all extremely valuable when you’re trying to stay on course no matter the weather. A heavy puffy coat, like the Black Diamond Stance Parka (Men’s/Women’s), and summit mittens, such as the EMS Summit (Men’s/Women’s), are must-haves for extreme cold. Using chemical hand warmers is also a great way to keep your hands warm. 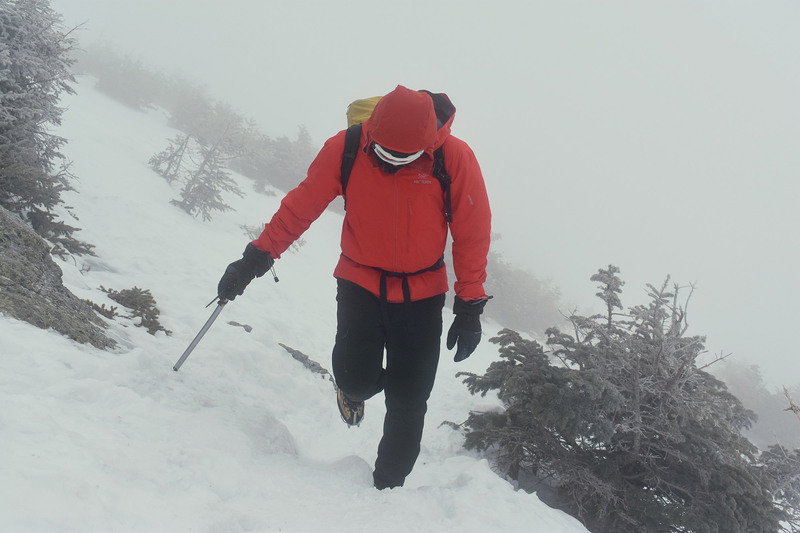 Mount Washington’s reputation for the “world’s worst weather” is well-deserved, and weather conditions play a huge role in any successful ascent via the Lion Head Winter Route. 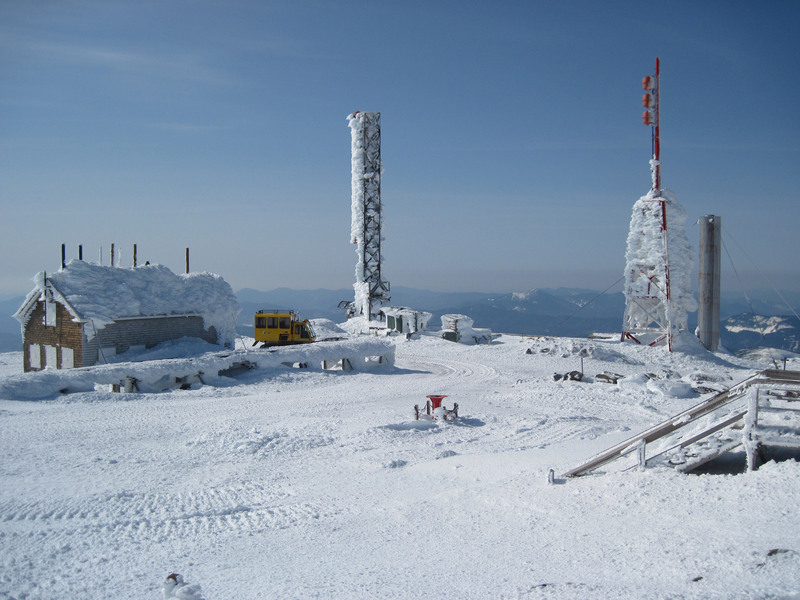 Before you head out, make sure to read the Mount Washington Observatory’s Higher Summits Forecast. If the conditions don’t look right (for instance, high winds are forecast or the temperatures at higher elevations are just too cold), consider a different trip for the day: A hike up to HoJo’s at the base of Tuckerman Ravine or skiing the Sherburne Trail is a nice alternative that never leaves the protection of the trees. Similarly, if the weather starts to turn during your hike, bailing is a smart decision. After all, the weather rarely gets better the higher you go, and the “Rock Pile” isn’t going anywhere. Before leaving the Visitor Center, take a moment to make sure the Lion Head Winter Route is actually open. 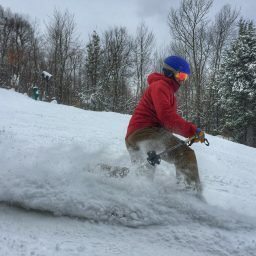 Its opening depends on the amount of snow received, and in recent years—like the 2017-2018 winter season—it has not opened until late December. 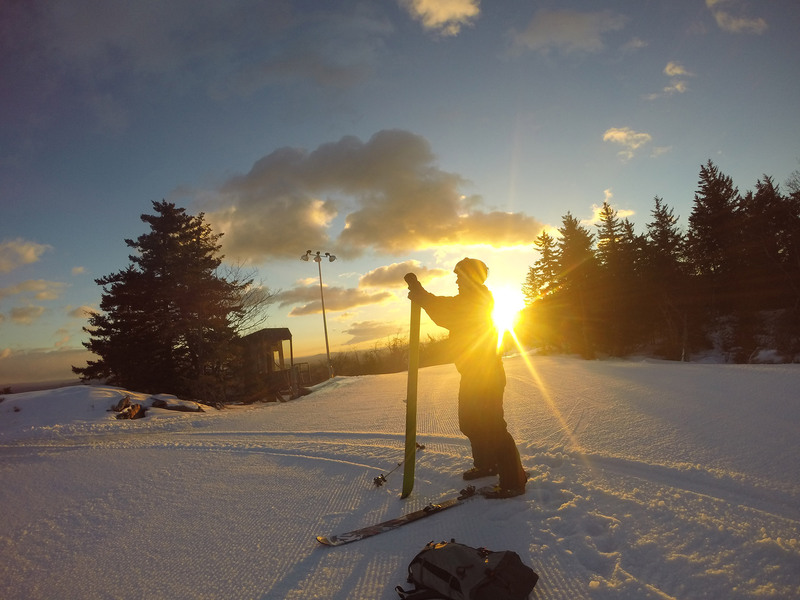 Early starts on Mount Washington are par for the course. The AMC’s Joe Dodge Lodge is a great place to stay if you want to roll right from bed to the trail. Accommodation options include private and bunk rooms, with most options encompassing breakfast and dinner. Not confident doing this journey yourself? 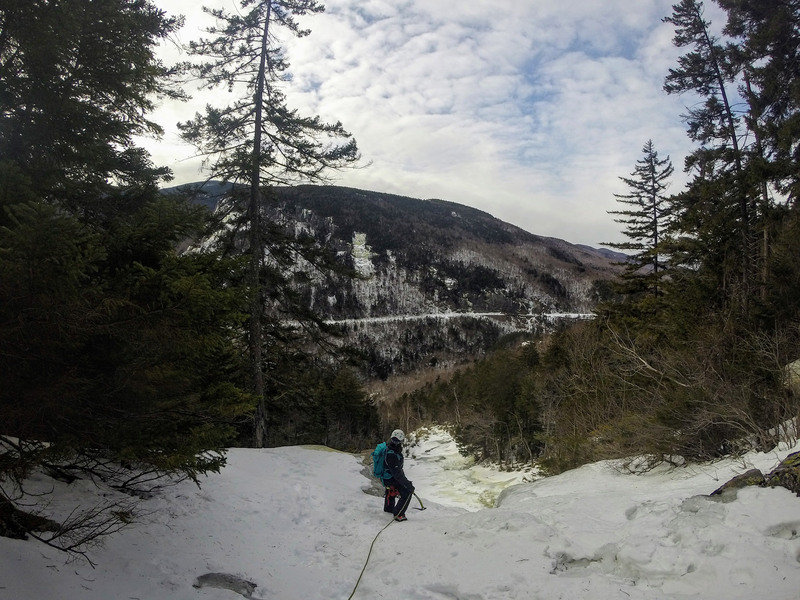 Consider a guided ascent of Mount Washington with the Eastern Mountain Sports Climbing School. EMS guides have climbed the “Rock Pile” hundreds of times each winter, and have the skills and knowledge to get you up and down the mountain safely. And, if you’re looking for more than just the up-and-back, consider combining a guided climb with an overnight at the Mount Washington Observatory. Moat Mountain Smokehouse & Brewing Co., or simply The Moat, is the place for Conway-area climbers to eat, grab a pint, and brag about everything from their successful summits to just how bad the weather was above treeline. 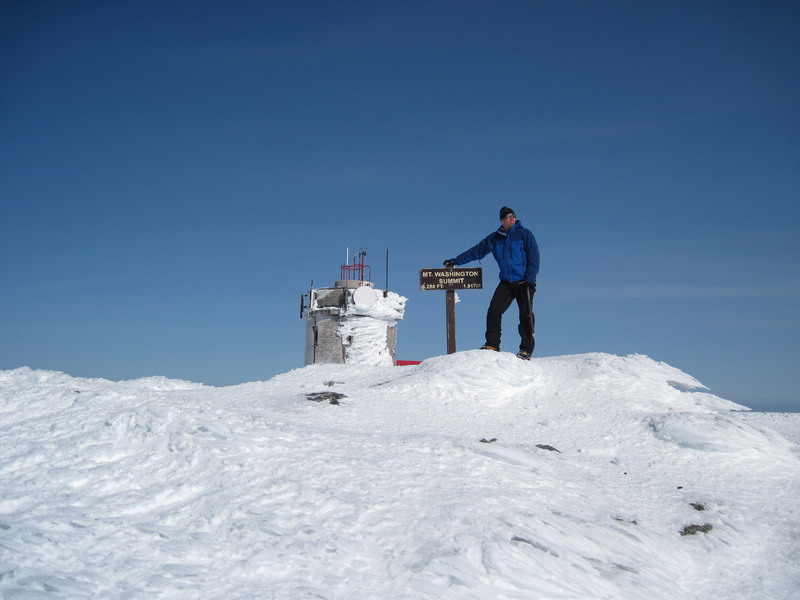 Have you hiked the Lion Head Winter Route on Mount Washington recently? Post your experience and the trail conditions (with the date of your hike) in the comments for others! Getting to our favorite places to hike, climb, or ski often involves a long time riding in the car. As a solution to keep the drive from getting monotonous, tune in to one of these great outdoor podcasts. While they won’t make the miles go by any faster, they’ll certainly make your trip a bit more stimulating. New sticker! A deep reference to Episode 31 in there. Want one? Send addy to chris@enormocast.com. Thanks to andrewedwardsdesign.com for the graphics! 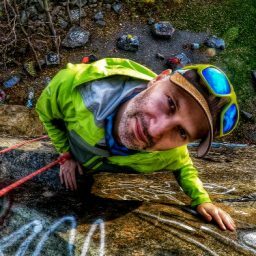 The Enormocast’s tagline is “A Slice of the Climbing Life,” which is precisely what this bi-weekly podcast delivers. The show’s interview format typically features host Chris Kalous sitting down one-on-one with climbers from all over the world and touches on all climbing disciplines. A quick glance though The Enormocast archives—all episodes are available for free to download—reads like a who’s who of climbing, with such notable guests as Alex Honnold, Tommy Caldwell, Colin Haley, Lynn Hill, and Henry Barber, just to name a few. 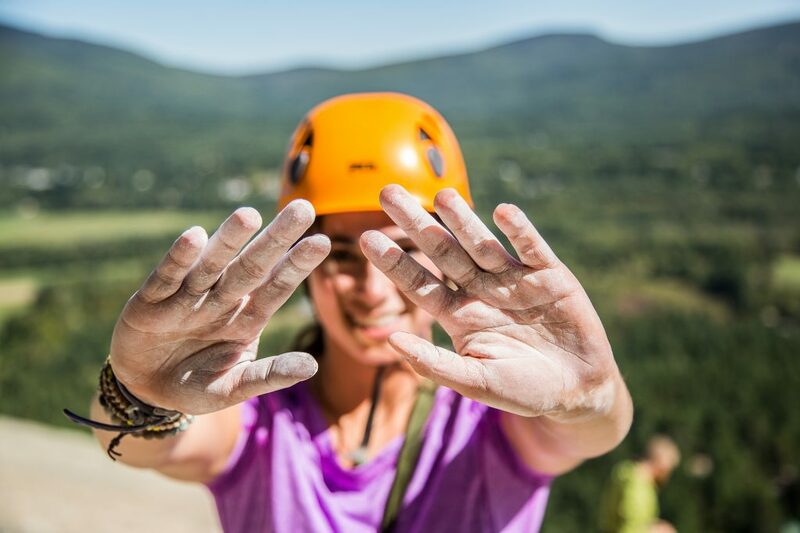 However, what sets The Enormocast apart is that it provides a place for climbers to share their stories with an informed audience, without the dumbed-down, oversimplified talk that clutters mass media conversations. 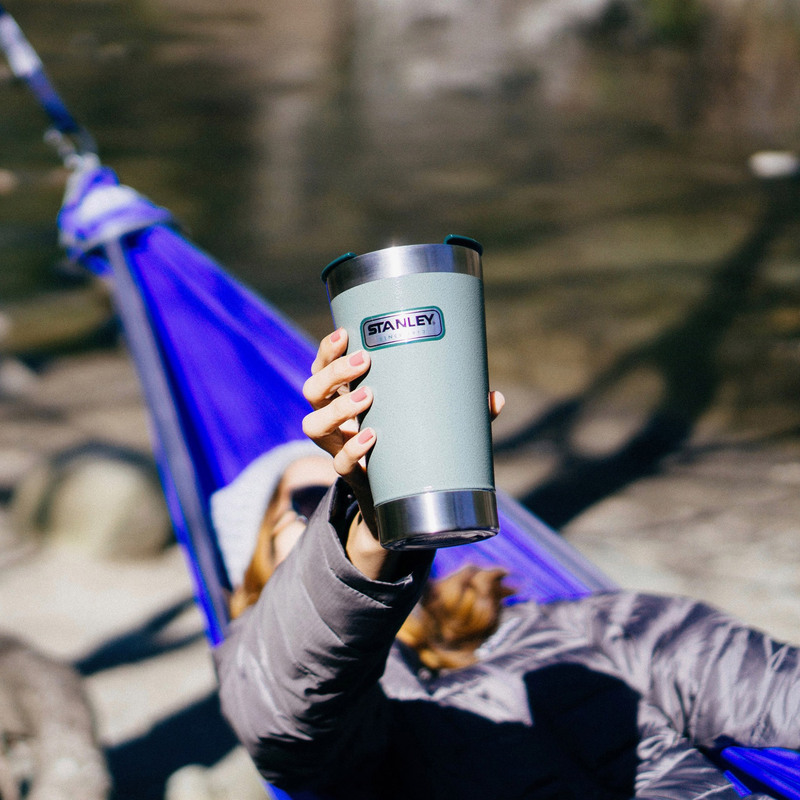 Unlike most on this list, The Dirtbag Diaries is a melting pot for all things outdoors. Rather than focus on a single niche, The Dirtbag Diaries might give you an episode about skiing one week, followed by a story about paddling the next. Acting like a virtual campfire, the podcast features some of the outdoors’ best storytellers sharing their unique voices and adventures. Overall, it covers everything from inspiration to advocacy, and aims to both entertain and educate. Chronicling the lives of alpinists in Alaska’s mountain ranges, The Firn Line is the best and most interesting mountaineering-specific podcast. Hosted by Evan Phillips, the podcast blends one-on-one interviews with some of Alaska’s most renowned alpinists—including Jack Tackle, Mark Westman, Vern Tejas, Clint Helander, and Charlie Sassara—with music and backstory. The conversations in Season 1, now 19 episodes strong, share their stories while simultaneously exploring sport-centric questions like why we climb, the meaning of partnership, and overcoming injuries and setbacks in the mountains. Check it out. Totally Deep features cult-classic movie Aspen Extreme in its opening credits, so it’s easy to get hooked. As you would expect from a podcast that uses a so-bad-it’s-good ’90s movie to lure you in, Totally Deep is a rambling, fun, and informative look at everything backcountry skiing. 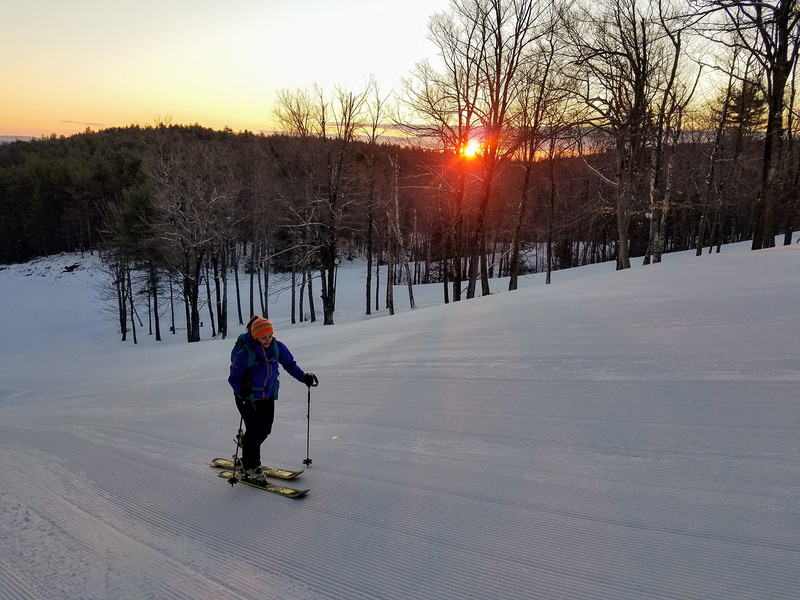 Leaving no backcountry skier unserved, it covers all aspects of the sport, from skinning laps at the resort to mountaineering racing to simply skiing for fun. Hosted by Doug Stenclik and Randy Young, the show never takes skiing too seriously. As such, it’s a great listen, no matter if you’re in the car, uphilling at the resort, or tuning skis in the basement. Stories of other climbers’ screw-ups might not be the most inspiring thing to listen to on the way to the crag. However, they’re probably the most educational. Based on the American Alpine Club’s annual “Accidents in North American Climbing” report, The Sharp End shares stories of mishaps, epics, and accidents from the perspectives of those who’ve lived them. But, it’s not all storytime. A thoughtful analysis of each accident is designed to keep you from repeating it. While they might not all be pick-me-ups, the information might just save your life. No time to read a monthly magazine? Get your dose of the adventure world’s best through Outside Magazine‘s podcast. Episodes from The Outside Podcast are a healthy conglomerate of stories told in print and then expertly crafted into audio, interviews with the biggest names, and stories analyzing survival in all conditions. Want to find out what it’s like to (almost) freeze to death? Listen to one of their earlier episodes. When should I retire my gear? Everyone has a story about an indestructible pair of boots or jacket whose age is counted in decades rather than years, but the truth is that everything wears out eventually. Even the mountains can’t avoid it—the Appalachians are presumed to have been taller than the Rockies at one point, before wind and erosion wore them down to their present height. While age may simply take a toll on the aesthetics of some items, it can hurt the performance of others. 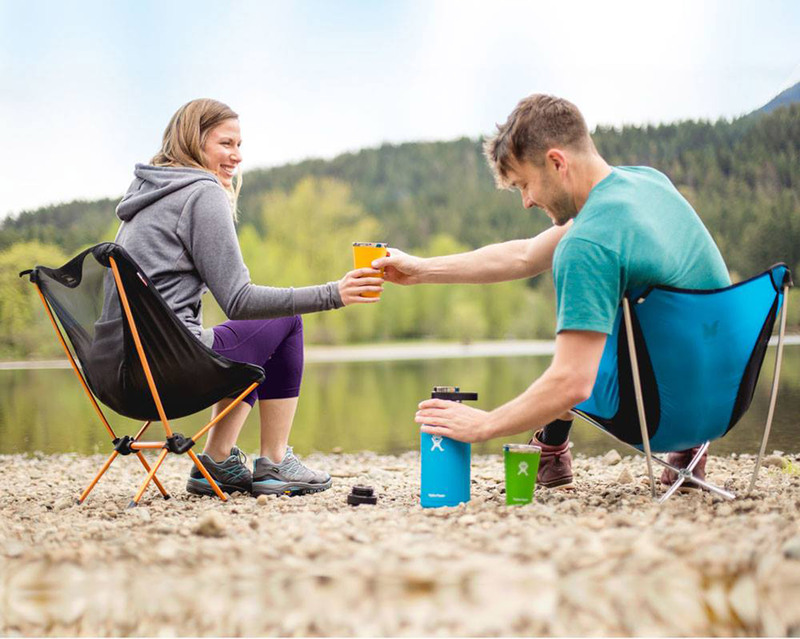 If you’re looking for an excuse to start the new year with new gear, consider the expiration date on some of these everyday outdoor items. If you bike, you should own a helmet. And if you really love biking, you probably own multiple helmets, as everything from mountain to road to cruising around town all have brain buckets designed especially for them. But is your helmet as safe as you think it is? 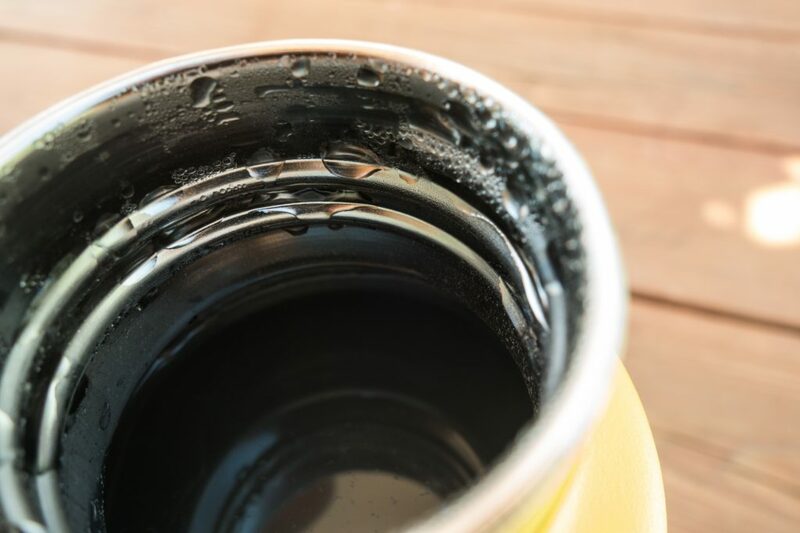 As a general guideline, you should replace your helmet every five years, as everyday wear and tear, cosmetics like shampoo, and even sweat can degrade the materials in your helmet. Additionally, today’s helmets are much more sophisticated than those of five years ago. Give your head a happy New Year with a new helmet. 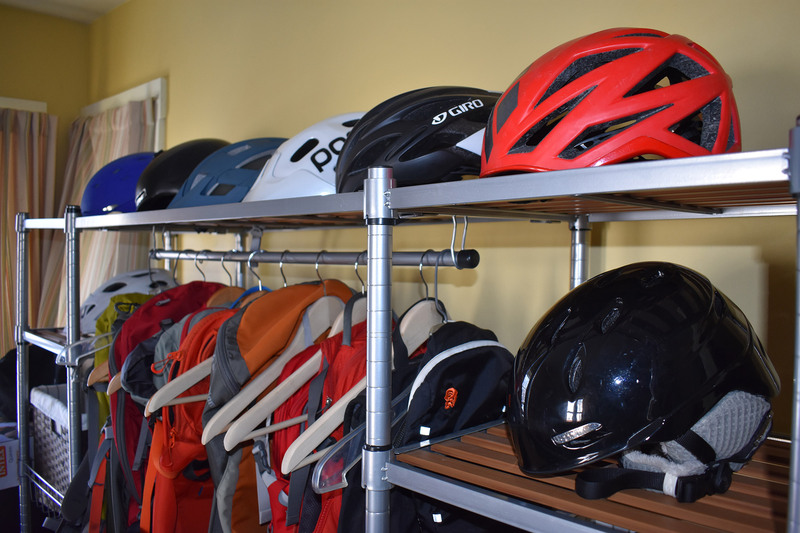 Oh, and the five year rule doesn’t just apply to bike helmets…make sure to check your ski/snowboard helmet and climbing helmet as well and replace if necessary. PFDs have a hard life. They are constantly cycling between wet and dry, regularly exposed to too much sun, and forever battling against salt, whether from the ocean or sweat. Not to mention, PFDs are not always the most well-cared-for piece of gear. 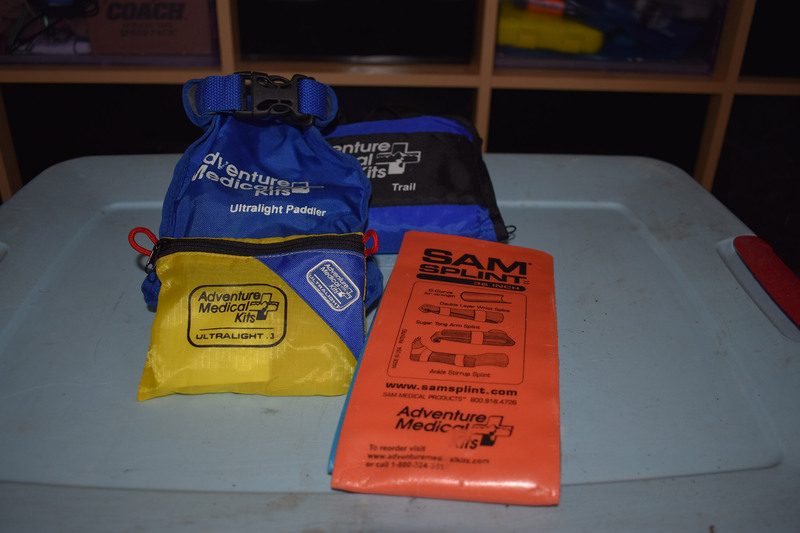 So let’s start with the basics: you’ve cleaned your PFD recently, right? While you’re doing that, check if the color is fading, the fabric is ripping, or the webbing looks tattered. If so, it’s probably time for a new vest. Also critically important is the quality of your PFD’s foam. If it’s starting to feel hard or doesn’t quickly regain its original shape after being squeezed, replace it. While you’re checking your PFD, look over other high-wear items like your kayak’s rigging, bulkheads, and seals. Then check out the gaskets on your drysuit, the buckles on your dry bags, and the rope in your throw bag. When you’re done, give your boat a coat of 303 Aerospace Protectant, it’s basically sunscreen for your boat. If you’re using your climbing harness regularly, it is recommended that you replace it every three years. But many factors—including regularly taking big falls—can shorten an individual harness’ lifespan. 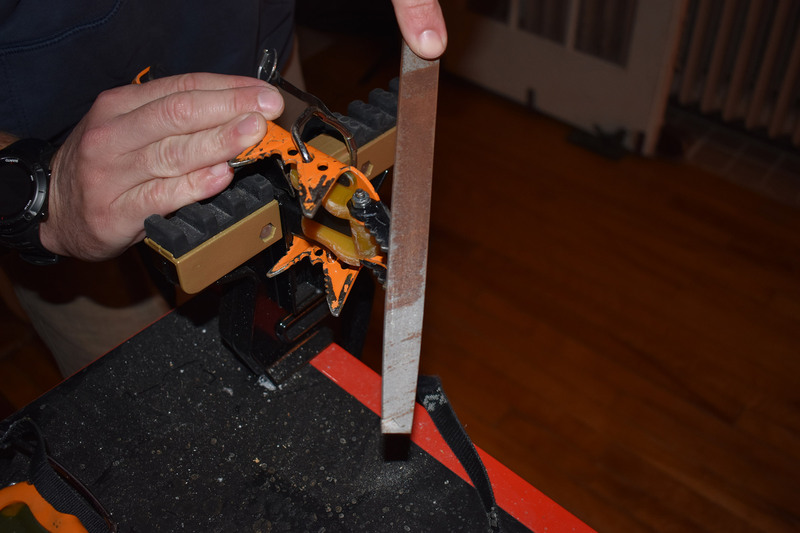 Before you rope up this year, give your harness a good visual inspection. First check the tie-in points, making sure they are free from any tears, cuts, or abrasions and that the fabric is uniform and no one section is thinner than others. Moving along, make sure the rest of your harness isn’t showing any suspect wear, abrasion, or fading. Furthermore, make sure that the buckles are intact, don’t have any burrs or rough edges, and are free from corrosion. After checking you harness, spend a few minutes inspecting your other climbing gear. Ropes that have flat spots, are frayed, worn, beat up, or feel stiff—a sign its losing its elasticity—should be retired. Ropes older than 10 years should also be replaced, even if they haven’t been used regularly. Additionally, check your slings, as their strength can be affected by both abrasion and UV exposure. Finally, examine your carabiners for wear and grooving. Finding boots that are comfortable, supportive, and fit right is a tricky task, so it’s no wonder so many people wear theirs into the ground. There is no set mileage or magic number of days a hiking boot has in its life, so the easiest way to tell if a pair needs replacing is to give each boot a quick inspection. Examine the soles to see if they still have tread and all the lugs. Scrambling down wet rock can be dangerous when the rubber has been worn down. Then check the stitching and liner—both inside and out—for fraying or signs of giving out, to avoid them from bursting open when you’re in the middle of your next hike. Another good indicator that it’s time for new boots is how they feel on your feet. If you’ve recently started getting hot spots, blisters, or unusual aches, you might want to kick off the New Year in…well, new kicks. Pro Tip: Give your boots the “press test.” To do this, press the outsole of the boot upward with your thumb—simulating their movement when being walked in—while watching the midsole. If the midsole folds into a line with small wrinkles, it’s okay, but if you see strong compression lines or cracks, tell your boots to take a hike. 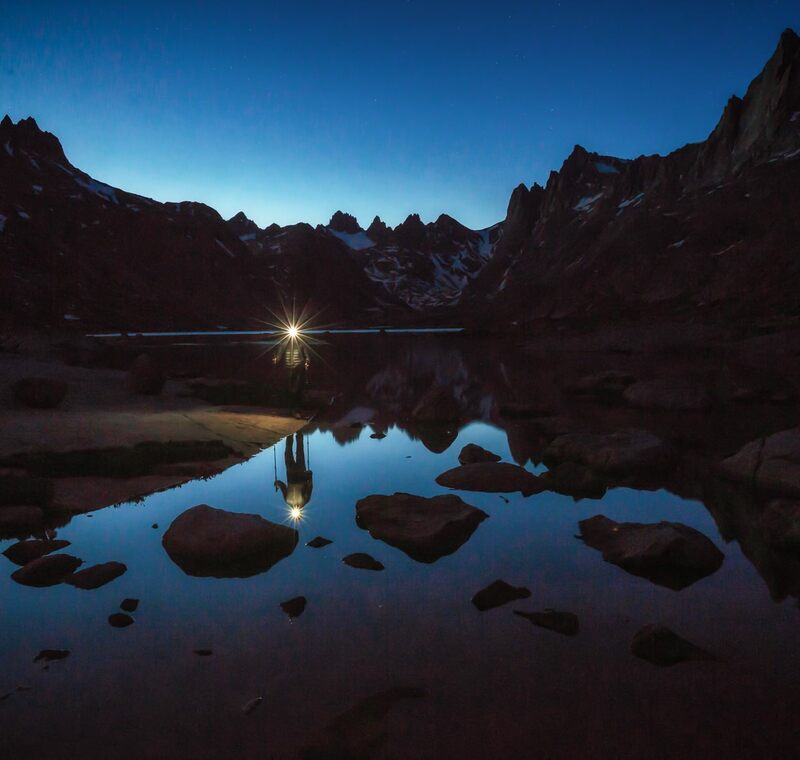 Do you remember the nights being a bit colder than usual during your last backpacking trip? If so, it might be time to upgrade your synthetic-filled sleeping bag. In general (it’s hard to be specific with so many different synthetic fills available these days), the more you compress your bag, the faster its fibers break down. A sure sign that your bag’s life is coming to end is if the fill is clumping or if some spots have more fabric than fill. If you come across either of these, consider downgrading your bag’s degree rating or upgrading to a new one. Check your puffy jacket, too! Synthetic-filled puffies break down as well, often faster than sleeping bags, thanks to their year-round usefulness and being shoved in and out of backpacks. Before heading out this year, make sure your synthetically insulated stuff is up to the task. Carrying at least a small first aid kit on all your outdoor adventures is a good idea. Of course, a first aid kit is only as useful as its contents. Before heading outside in the new year, take a look at the expiration date on your first aid kit’s medication and replace anything past its prime. While you’re at it, spend a moment reviewing the first aid cliff notes found in most kits. If anything feels rusty, it’s probably time to refresh those expired first aid skills as well. Of course, not everything needs to be replaced when it starts to show some age. 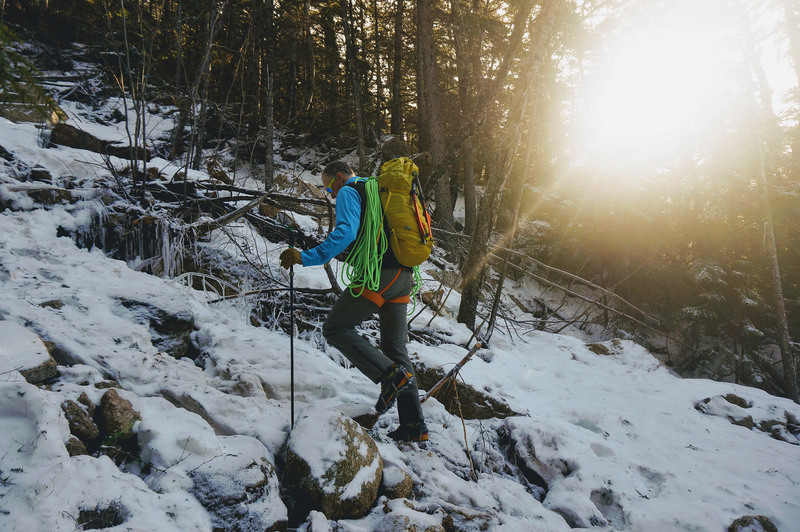 Giving your gear a little first aid by patching that hole on your pack or reviving the waterproofing on your favorite shell is a great way to keep your gear going strong into the new year. Replacing expired gear is not only a great way to make sure that you’re safely participating in your favorite outdoor sports, it also ensures that you continue to enjoy them. More so, there’s no better way to get stoked to hit that big jump, send a route, or take a trip into the woods than new gear. Making outdoor-themed New Year’s resolutions is easy. Following through? Now that’s hard, especially when you don’t know where to get started. Fortunately, we’ve got you covered, with 52 suggested outdoor activities—straight from the goEast archives—to help turn your resolution into a weekly reality. Here’s to making 2018 the best year yet. 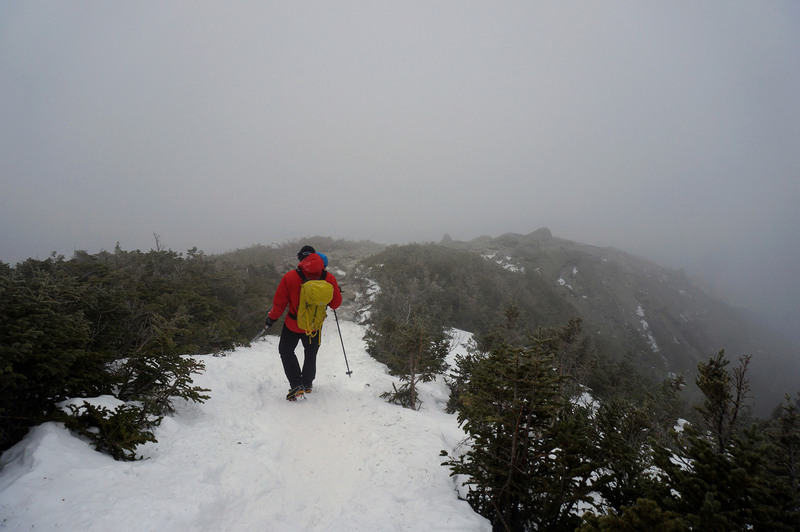 Hike the White Mountains’ Franconia Ridge, a true winter test piece. Skin and ski Mt. Moosilauke. Winter camp in style: spend the night at the AMC’s Lonesome Lake Hut. Visit one, or all, of these awesome ski bars. 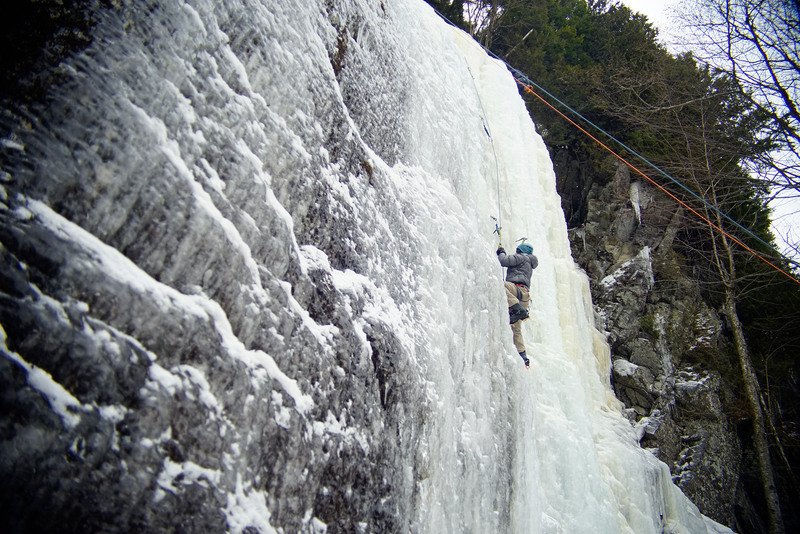 See Arethusa Falls—New Hampshire’s tallest waterfall—in its frozen splendor. Feeling masochistic? 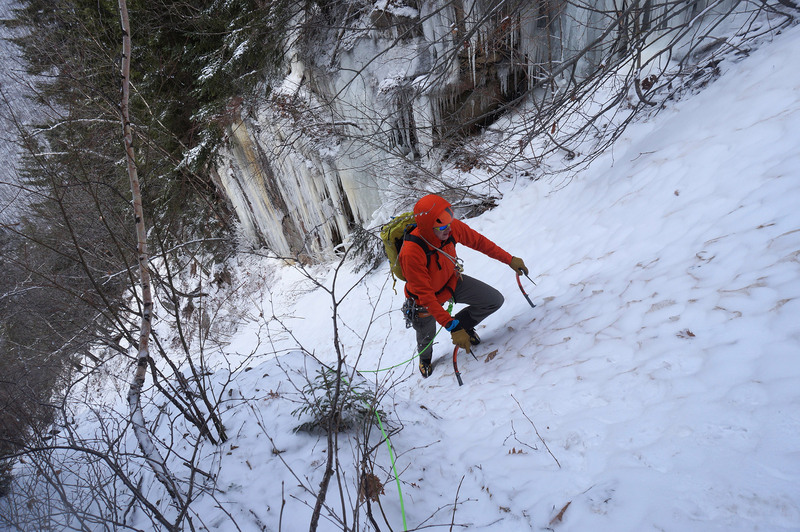 Attempt one of the Northeast 115’s toughest winter climbs. 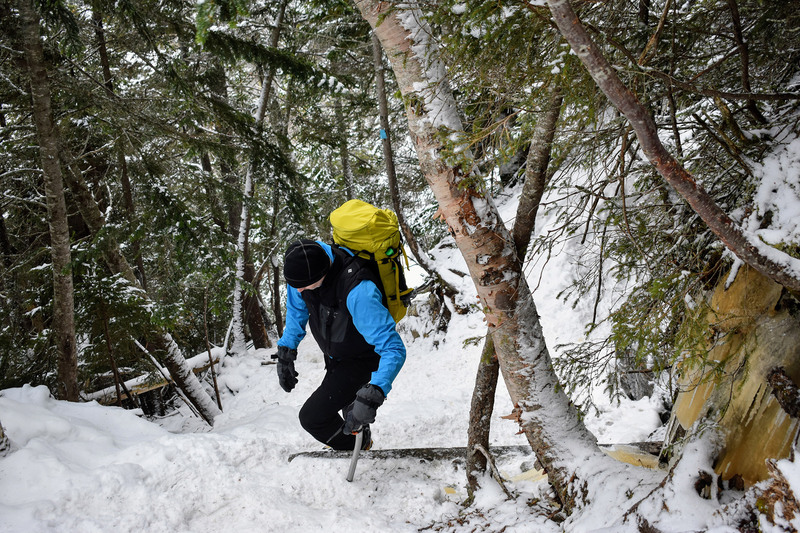 Climb Mount Colden’s Trap Dike. 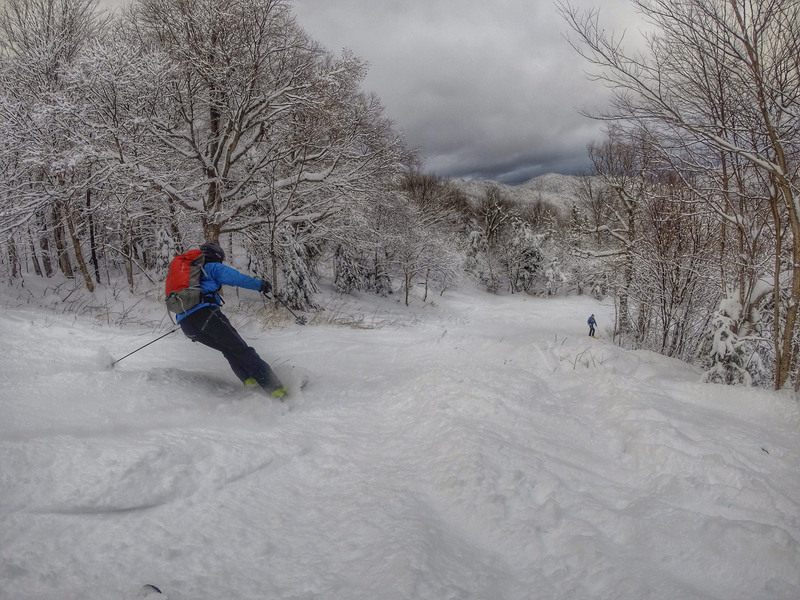 Ski the “Beast of the East,” Killington. 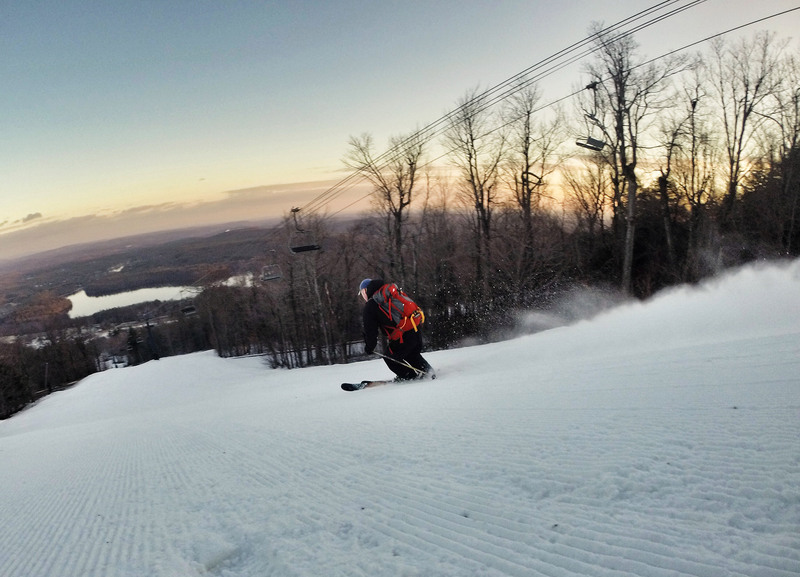 Spend a weekend riding the groomers at Lincoln’s Loon Mountain Resort. Sick of the cold? 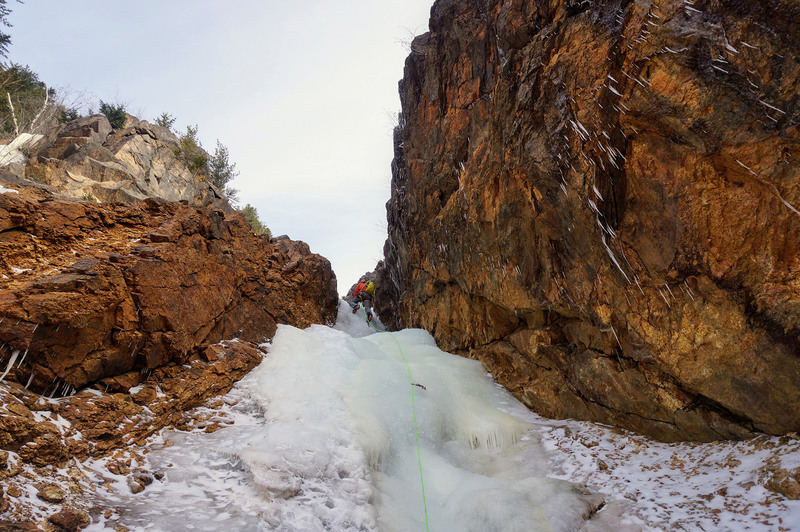 Head for one of these eight warmer-weather climbing destinations. Snowshoe to the summit of Camel’s Hump, then reward the effort with a trip to the Prohibition Pig. Ski Mount Washington’s Cog Railway (while you still can). Earn your turns and ski Mount Cardigan. Start the climbing season early by bouldering at Rhode Island’s Lincoln Woods. 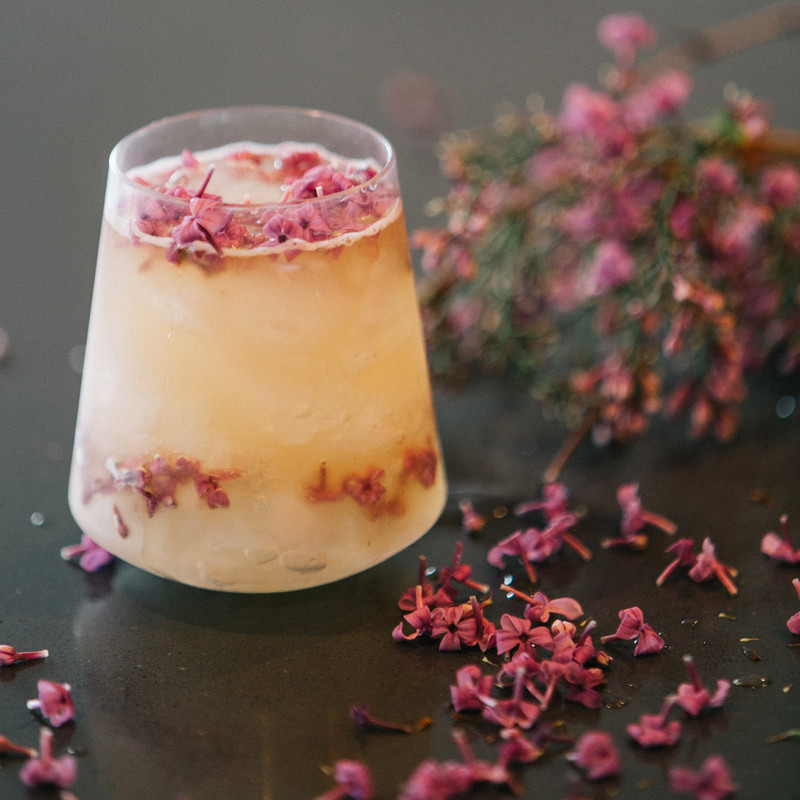 Try one of these end-of-winter/beginning-of-spring shoulder season activities or invent your own. 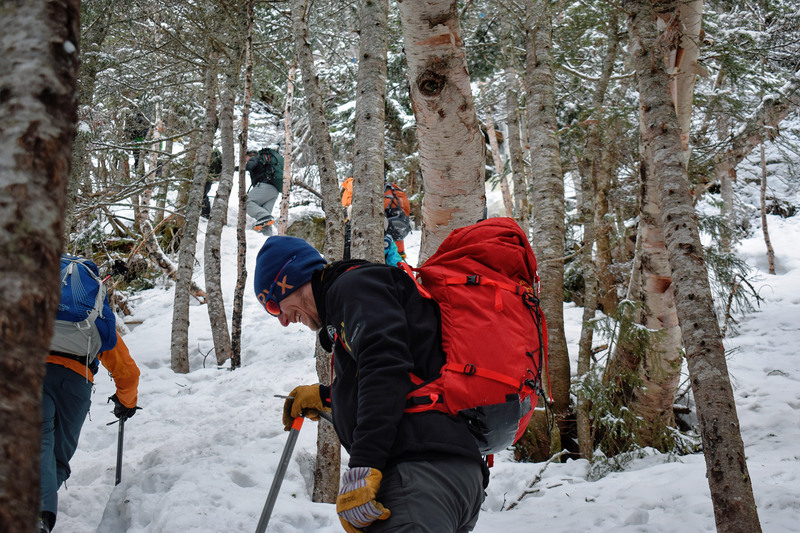 Begin a quest to climb all 48 of New Hampshire’s 4,000 footers. Sport climb at Rumney, then check out the new American Alpine Club climber’s campground. Rinse and repeat. Don’t let April showers stop you; get comfortable taking a hike in the rain. Still too much snow on the higher summits? Check out West Rattlesnake Mountain or one of the other family-friendly hikes in New Hampshire’s Lakes Region. It’ll be warm down south. Head down and backpack the Virginia Triple Crown. Try trail running on Boston’s Blue Hills Skyline Trail. 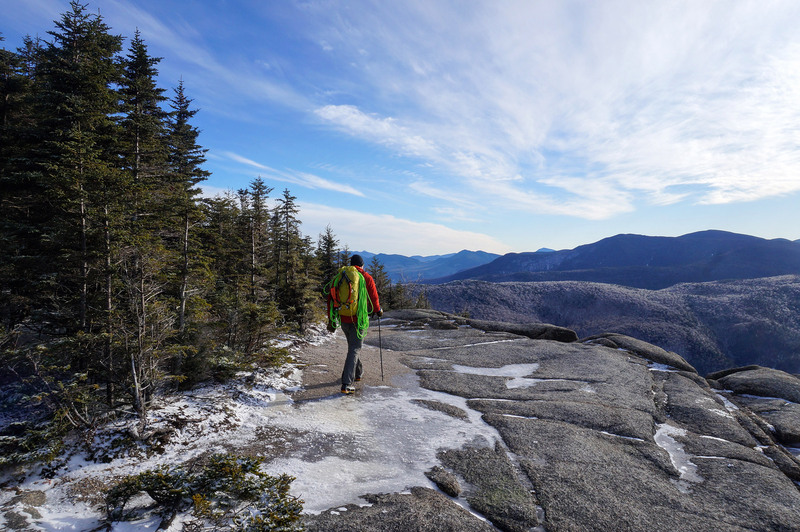 Take in the views from the New Hampshire 4,000 footers’ six most-scenic summits. Start them young and take your kids climbing. Head out for a post-work climbing session. If you live near Boston, Quincy Quarries and Hammond Pond are perfect! Explore the family-friendly hiking at World’s End in Hingham, Massachusetts. Hiking Mount Washington, climbing Cathedral Ledge, and swimming in the Saco are just some of the awesome activities found in North Conway. Take a long weekend and do them all. 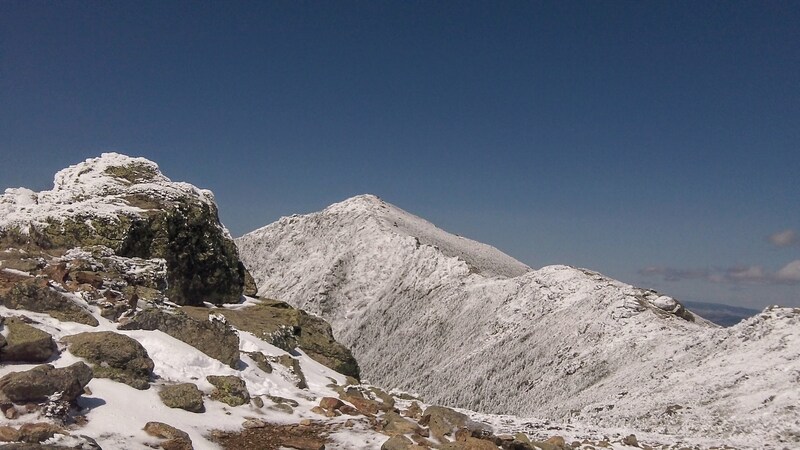 Go alpine climbing on Mount Washington’s Henderson Ridge. Visit New England’s only National Park, Acadia. While you’re there, hike Cadillac Mountain (bonus points for getting a sunrise ascent). 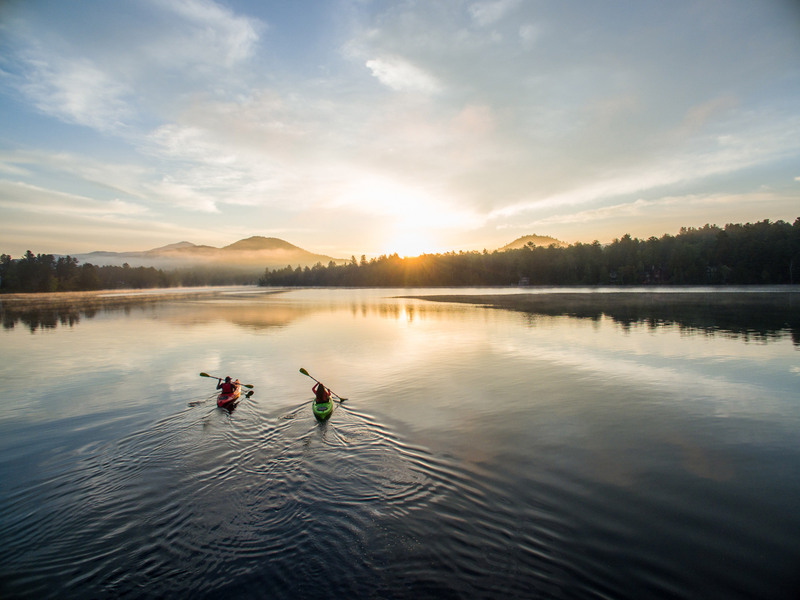 Whether you’re looking for climbing, hiking, paddling, or strolling the town, you’ll find it in Lake Placid. Spend the weekend. Take not just your best friend, but man’s best friend for a hike. Vacation time? Head west and visit one of the U.S.’s lesser known National Parks. Ditch the tent and live the dirtbag dream for a weekend and curl up in your car. Do the Presidential Traverse. Even better, do it in a day. 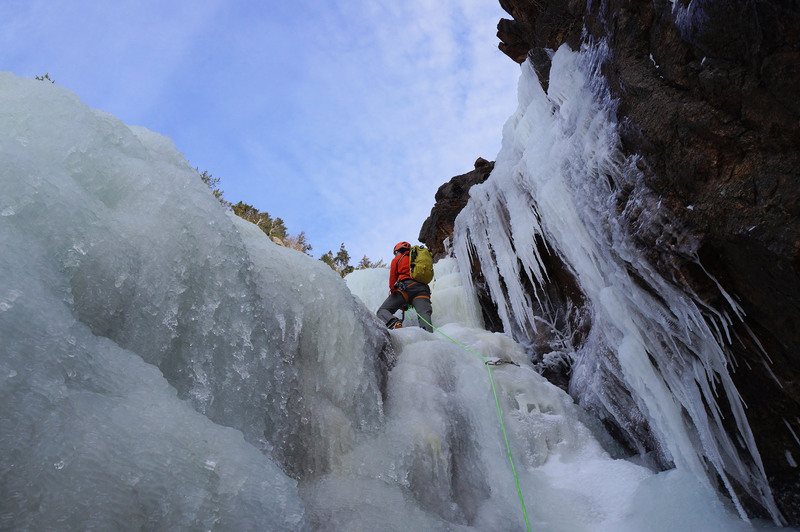 Visit one of these five New Hampshire climbing destinations and stop for a slice afterward. Take advantage of the long days surrounding the solstice with one of these all-day hikes in Adirondacks. 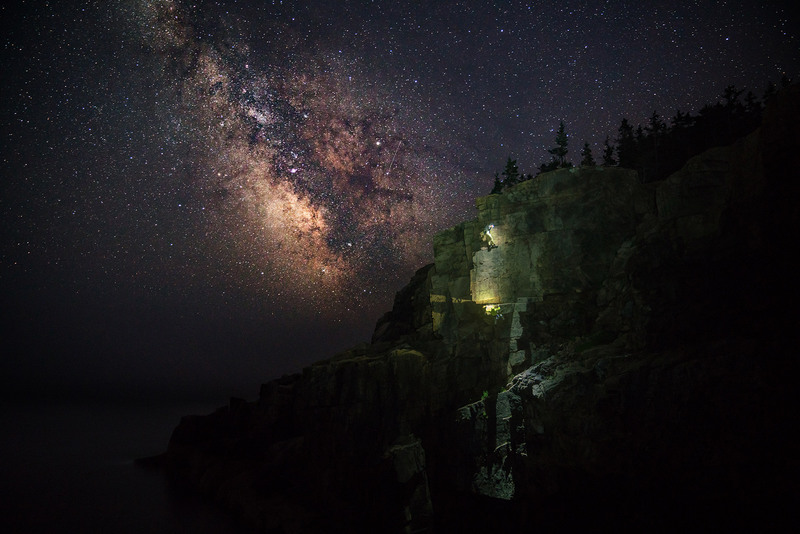 Climb above the ocean at Otter Cliffs in Acadia National Park. Hike the Burrows Trail to the summit of Camel’s Hump, then treat yourself to an ice cream from Ben & Jerry’s. Go backpacking and spend a night in a lean-to. Vermont is awesome in the fall. 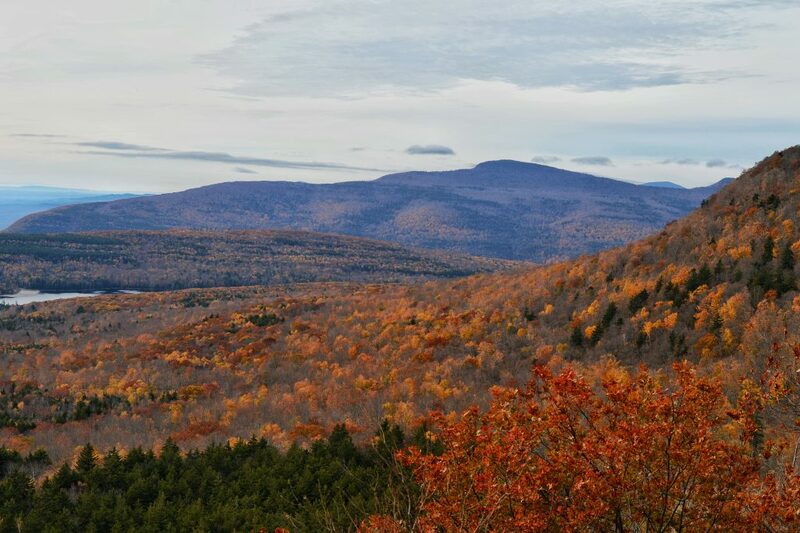 Hike one of Vermont’s five 4,000-foot mountains. Super motivated? Try to bag all five in 24 hours! Do some high-angle leaf peeping on one of these moderate slab climbs in New Hampshire’s Crawford Notch. Paddle through history on Massachusetts’ Concord River. Foliage is just one reason why Burlington, Vermont is great in the fall. Move past leaf peeping and explore like a local. Tackle one of these fantastic fall bike rides. Save some time in Rocktober to do The Eaglet in Franconia Notch, the most prominent free-standing spire in the East. Enjoy the fall foliage by backpacking the White Mountains’ iconic Pemi Loop. Challenge yourself to burn off Thanksgiving dinner. 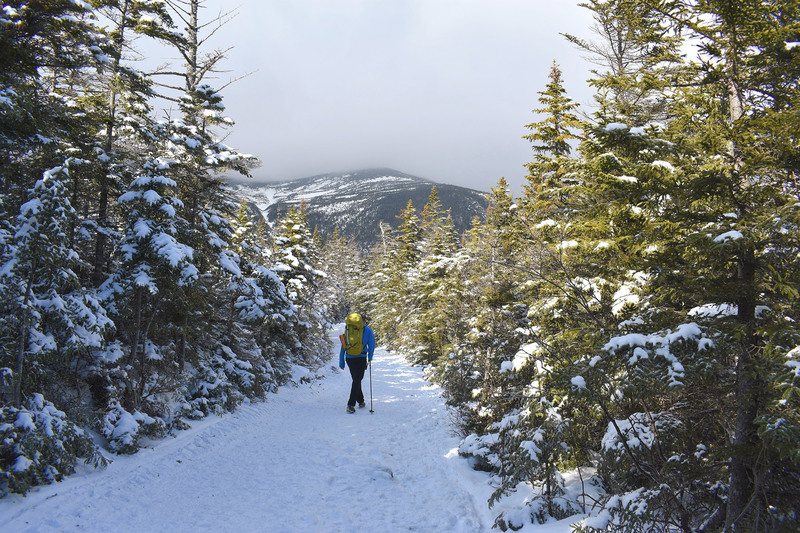 Try one of these late-fall/early-winter hikes on the Kancamagus. 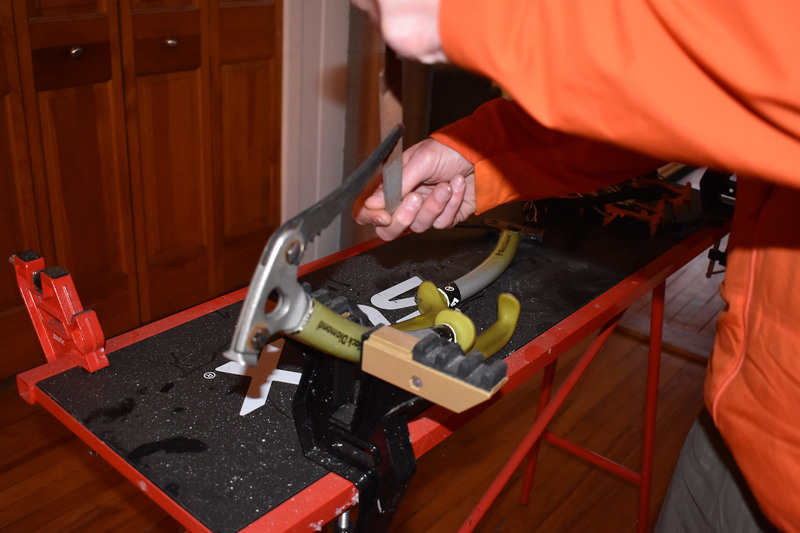 Be ready for ski season for once and tune up your skis in the fall. Get a late-season backpacking trip in on Jersey’s Batona Trail. And if you’re afraid of the cold, check out our pro tips for staying warm. Share your adventures—start a blog, Instagram account, or write for goEast and inspire others! Of course these are just a few outdoor-oriented New Year’s resolutions. We want to hear about what your planning for 2018, so leave your plans in the comments.